The inevitable January health kick is looming. And while it’s all well and good to expend vast swathes of your disposable income at Planet Organic and Lululemon, real impact can be made with apps that cost a few pounds or less – with many of them available for free. We’ve rounded up the 10 best fitness apps on the market for 2019 and the well-known apps for 2018. They’ll do everything but the heavy lifting. Just try, compare and use the best one that fits for you! Sworkit is truly a marvel. Simply type in what kind of workout you’re looking to undertake – and for how long. 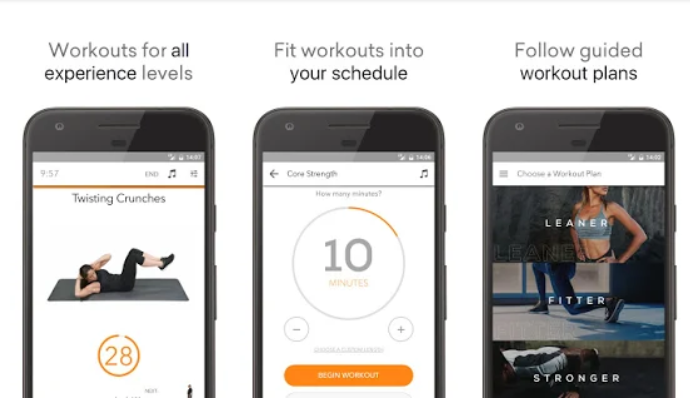 Sworkit will then create a workout tailor made to your demands. 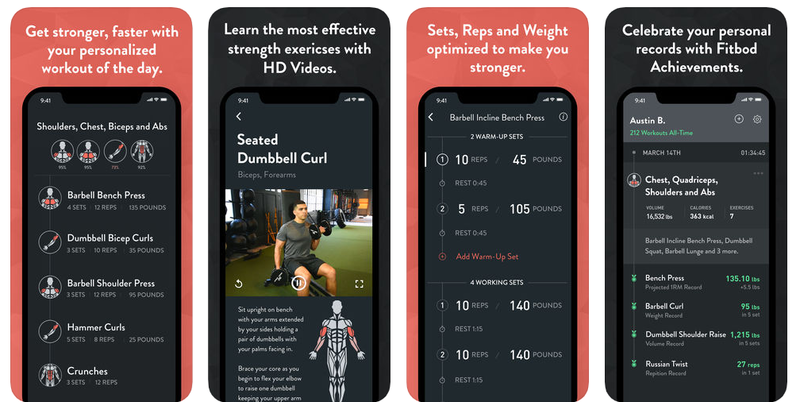 If you’re looking to take it one step further, the app’s upgrade will allow you to hone your workouts further, opting to focus on particular parts of the body, or to set a particular number of reps. If you love group fitness classes, Aaptiv is for you. The audio-only app gives you access to high-level instructors you'd find in a studio setting right on your phone. You can choose from over 2,500 unique sessions in 12 categories, led by 20 top-level trainers, so you'll never repeat a workout. All you need is headphones to hear the directions. If you’re not mad about cardio – and there are legions of us who aren’t – there’s no need to retire your fitness dreams. Yoga is the perfect way to stay in shape without frenzied workouts. Daily yoga makes exercising as calming or challenging as you want it to be. Offering 50 classes, all under half an hour, it’s the perfect way to inject some more exercise into your daily life. You don’t have to worry about following complex diagrams either, classes come in the format of high-quality videos. 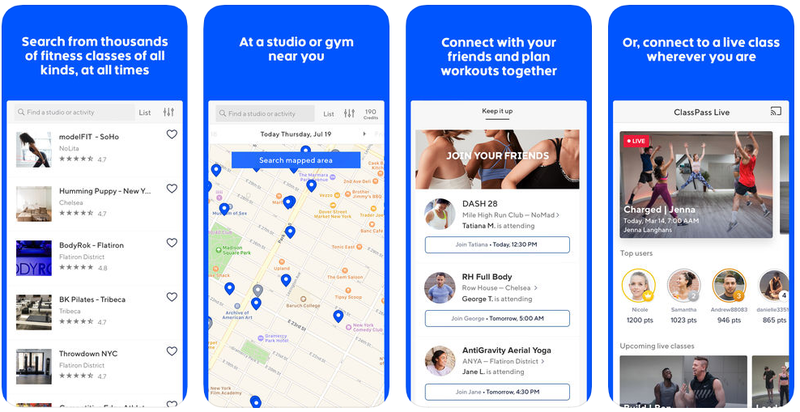 ClassPass started out as a service that allowed its users to try out just about any type of fitness class they could imagine, but it's evolved into a fully-fledged workout platform. ClassPass Live now offers subscribers unlimited at-home HIIT workouts, which can be streamed through a Chromecast device directly into your TV set. We’ve long sung the praises of this offering from Nike. We still can’t believe it’s free, despite its eminently stylish interface and high functionality. 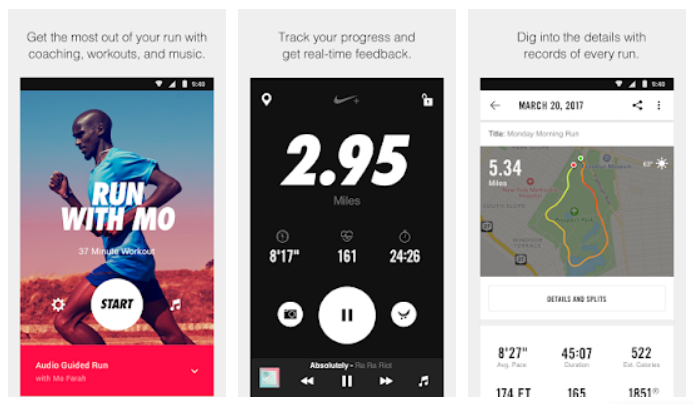 Nike+ Run Club charts you doing your best Forrest Gump, logging times, routes and calories burnt. Users can link up their efforts to their social media profiles, garnering virtual cheers from friends as goals are smashed. Although if your 5km times are as woeful as mine, you might want to give this feature a miss. 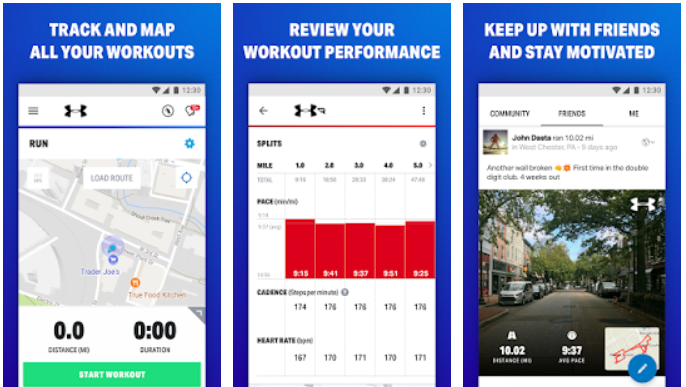 If you're exercising outside and you want to know exactly where you've been, where you are, and where you're about to go, this GPS-powered app from Under Armour is for you. You can track just about any activity and get feedback and stats about your workout, but that's not all. Share your routes and stats with friends and on social media, or even use custom training plans to hack your progress. Track everything you eat to stay on top of your nutrition with MyFitnessPal. 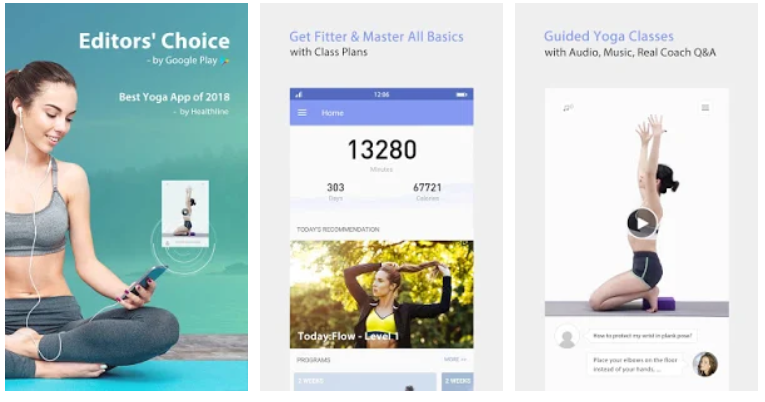 The app is consistently one of the top downloads in the health and fitness category because of its massive database of foods, quick bar scan capabilities, and easy connectivity with other popular apps like MapMyFitness and Fitbit. It would be a cliche to bill Pact as a fitness app with a difference, but it really is. 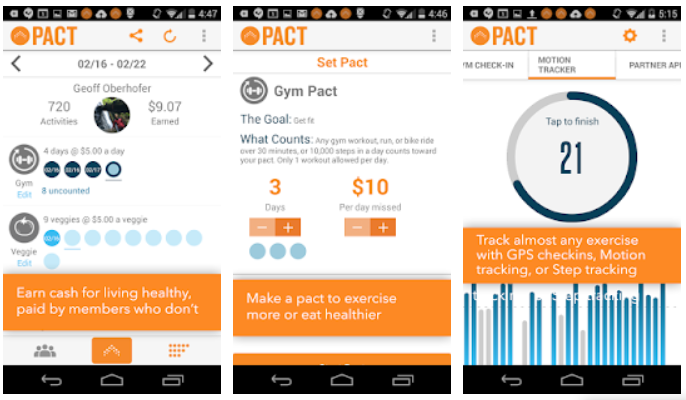 Pact lets you make money from your exercise endeavours by urging you to gamble on your ability to get fit. Sure, you’re not going to rack up as much as Federer for that Lindor ad, but it’s a good way to turn your sporting prowess into cash. If your goal is to get fit, bulk up, or maintain a routine at the gym, then Fitbod is your app. 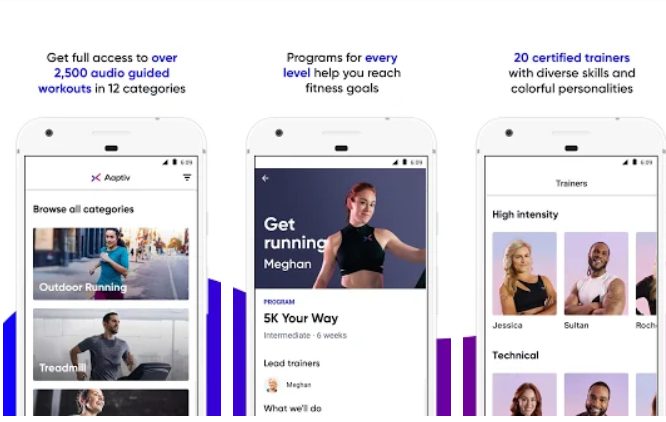 Fitbod uses artificial intelligence to learn from your past workouts to recommend personalized exercises based on your preferences, struggles, and available gym equipment. As the pert derrière becomes evermore celebrated in the world of pop culture, the value of the humble squat snowballs. Like getting your five-a-day, or flossing, daily upkeep of squats can be tough to maintain. This app helps keep you in check, offering a number of simple squat workouts you can do at home. There’s also the eminently satisfying process of ticking off days you've completed your squat regime. Like an advent calendar, but for self-improvement.